I'm a huge fan of caramelized onions. They're savory, they're sweet, and they have a texture unlike onions cooked any other way. Generally, I like the flavor of onions, but I don't particularly like to bite down on a crunchy, pungent onion. And regardless about what people say about red onions, they are not mild or sweet. I hear people all the time, "I like to add red onion to my salads because in raw form, it's so mild!" Really? What kind of red onions are these folks eating, because the red onions I generally taste are so strong they burn my eyes and nose! When cooking, I like to use white or yellow onions. For this particular recipe, and for most caramelizing, I like a nice Vidalia. The sugar content is a little bit higher, so a.) I don't add any sugar to the pan, and b.) they taste like perfection! The caramelized onion paired with the Gruyere cheese makes a great flavor combination. Gruyere tends to have a "nutty" flavor, and I really like that with the onions. It also melts nicely, and is the "go-to" cheese for French Onion Soup, so I thought it would be perfect cheese for the pinwheels. Mixed with a bit of shredded mozzarella, the Gruyere and the caramelized onions come together so well, you won't even realize you used from-a-can dough. 1. Start by slicing your onions. The way you slice them is completely up to you, but I like nice long pieces for this, so I simply halve my onion, and then cut-side down, I cut about 1/4-inch slices. When you are finished slicing your onions, add 2 tbsp. of the butter to a warm skillet. When the butter has melted, add your onions, salt and pepper. Coat with the olive oil, and cook "low and slow" for about 45 minutes to 1 hour, turning every so often to get an even caramelization. 2. Open your pizza dough, unroll, and lay flat on a floured counter-top. Mix the garlic, parsley, thyme, and one more tablespoon of butter (melted) all together until incorporated. Using a basting brush, brush the pizza dough with the mixture until evenly coated. 3. 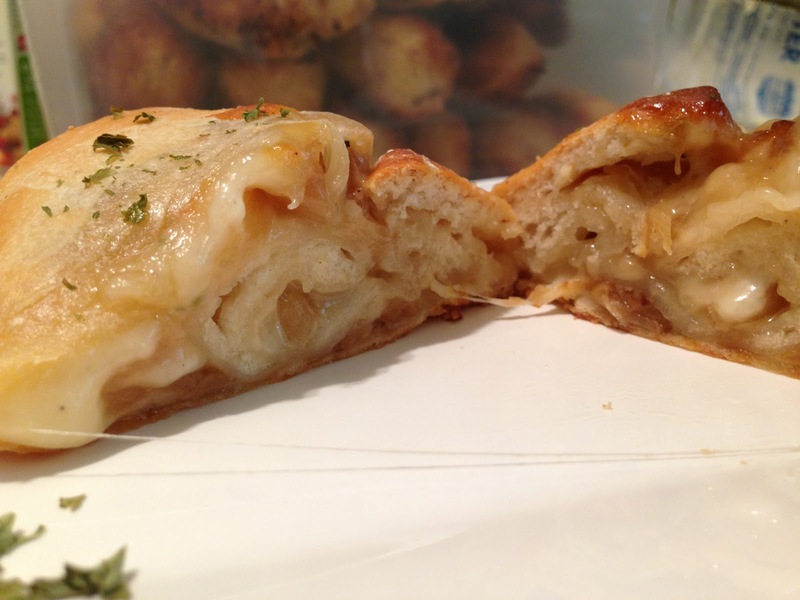 Sprinkle your pizza dough with the Gruyere and the mozzarella, and top generously with caramelized onions. Starting with the long side of the dough, begin rolling. 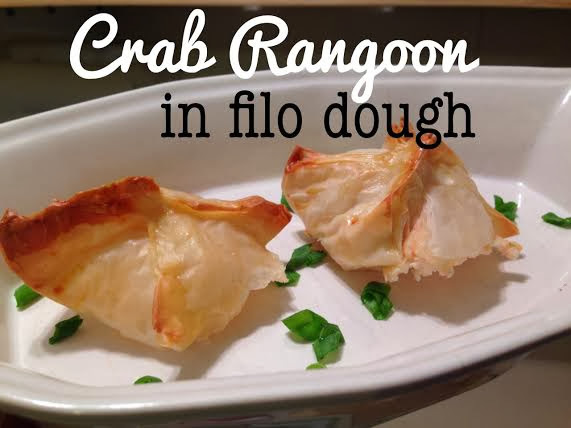 Ensure that the dough is secure when you get to the end so everything doesn't ooze out! Close off the sides using a fork, and be sure to cut three slits in the top of your pinwheel, so air can be released while cooking. Brush the whole thing with the remaining tablespoon of melted butter. 4. Bake in a 375-degree oven for about 30 minutes, or until you dough is golden brown. Remove from oven and let cool for about 10 minutes, and then slice (like you would a Stromboli). You should be able to see the spiral of cheese, onions, and dough - giving it the effect of a pinwheel!